As my readers know, I concentrate on cold cases of child murderers and their victims. 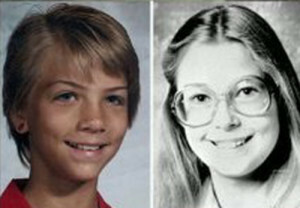 One of the posts at de Sturler’s blog is about the Bastian and Michella Welch cases. It was thought the murder cases of the two young girls were connected, but apparently they were not. I’ve thought many times about asking the San Diego Police Department to submit the 1931 Virginia Brooks case to AISOCC. Would it be possible solve a case that old? The new M-Vac device, which I had never heard of, looks promising. For those who do not know, the M-Vac machine is much, much better at detecting DNA. It is science fiction plus. You can see how it works at de Sturler’s blog: The M-Vac system. And with the advancement of familial DNA comparisons, would it be possible to trace the DNA back? That is bound to be true in the not too distant future if it is not possible now. Probably one of the reasons why I find this so fascinating is because I once wrote a futuristic syfy story about crime. But it was easier because it was fiction.